Let the Intramurals Board help you with your New Year’s resolution! 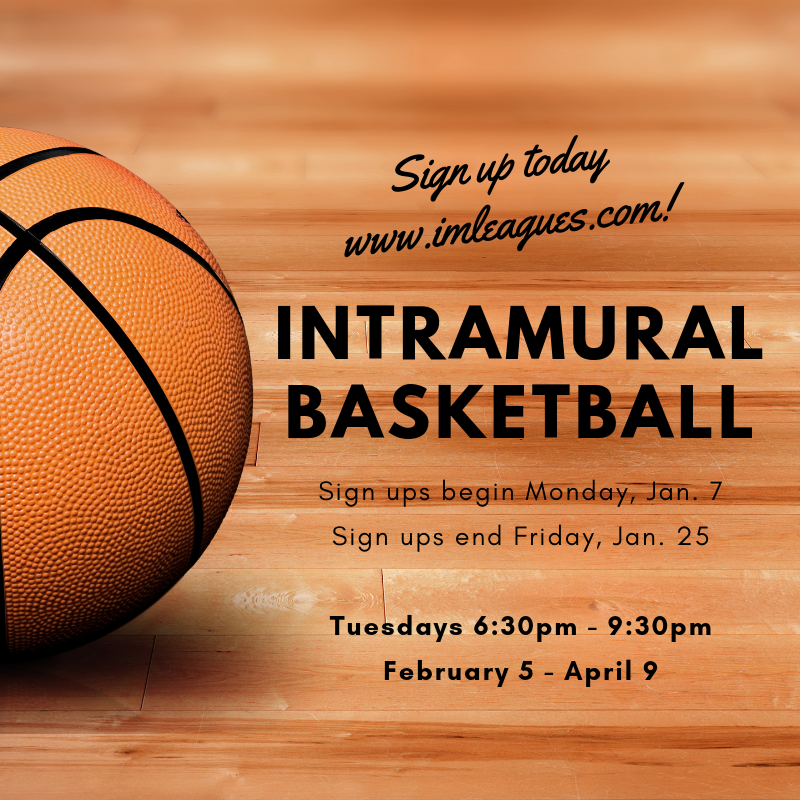 Join an intramural basketball team to have fun, meet new people, and stay active. Open to all students, staff, faculty, and their spouses, as well as alumni! Sign ups end on January 25th. Contact rachel.barcelos@fresno.edu for questions or more information.